Seldom can something so small and hidden have caused so much trouble. The thyroid is a small butterfly-shaped organ at the base of your neck, just below the Adam’s apple. Most people don’t know they’ve got one, have never given it any thought and most likely don’t have the slightest idea what it does. 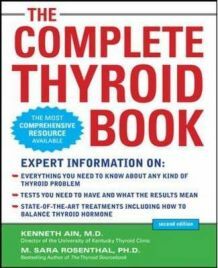 But for those people who are aware about their thyroid, it’s very likely that this little gland is causing them trouble – and in some cases, such as mine, it looked for a while like big scary trouble.